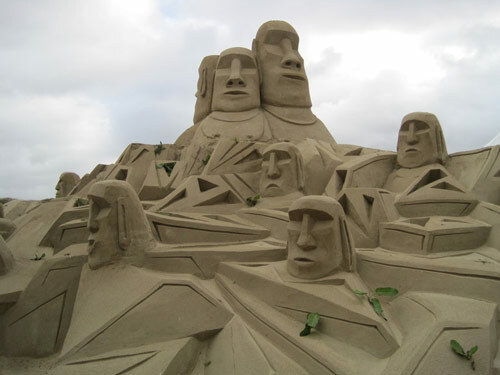 Sculptures are usually created with the use of stones, metals, wood or even glass. 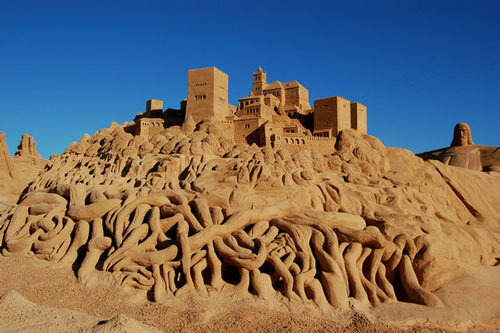 It is an artwork that’s three-dimentional where you get to really see its expounded parts. 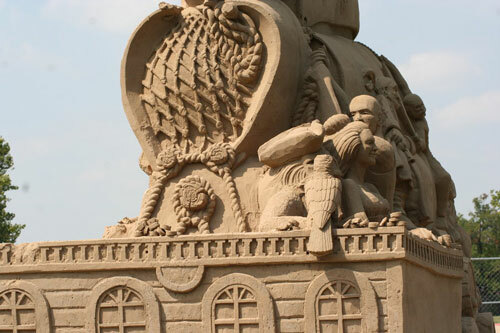 Aside from hard materials, there are also sculptures made up of softer ones particulary Sand. 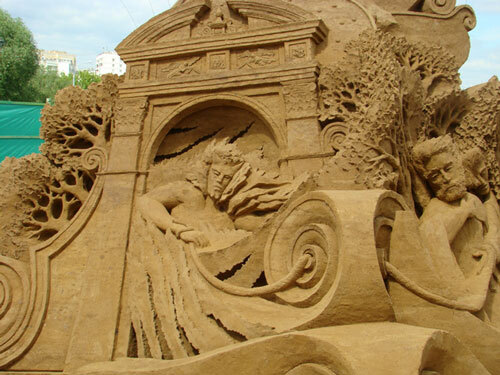 with the help of water and talent, an obra maestra is created just out of sand. 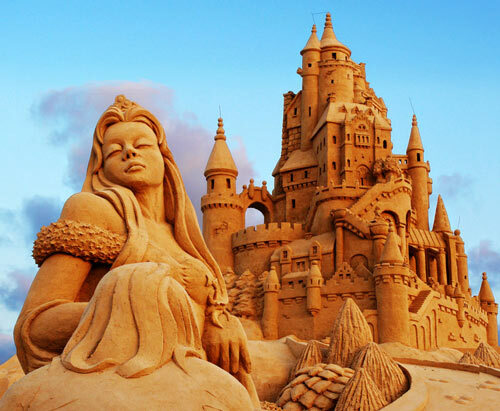 Of course it is not that easy especially when we get to see gigantic ones or more detailed sand works of art but feel the daze in today’s post. 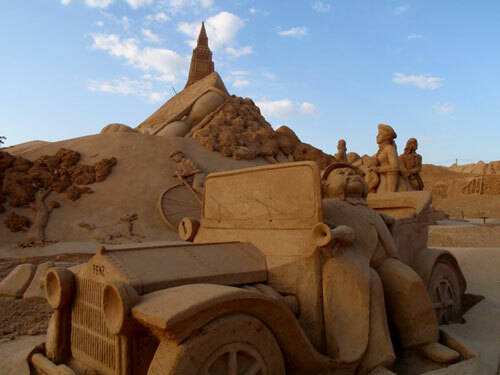 Browse through this Spectacular Sand Sculptures Collection to highly appreciate another side of Art from exceptionally talented artists. 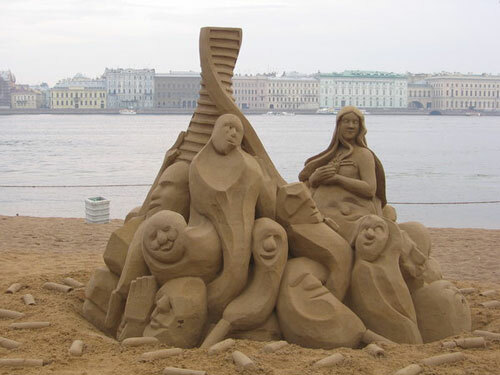 Most of them won in Sand Sculpture Festivals so enjoy and get dazed! In every artwork, there would be a story. It just so happened that this one’s was a bit peculiar. 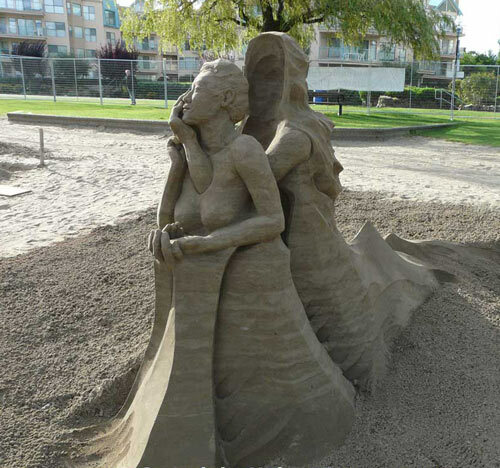 With all the details to express its perfect images, the love for art found its way indeed. Happy and playful faces with the feel of freedom may be depicted on this masterpiece. There are subjects that don’t really exist in this modern world. 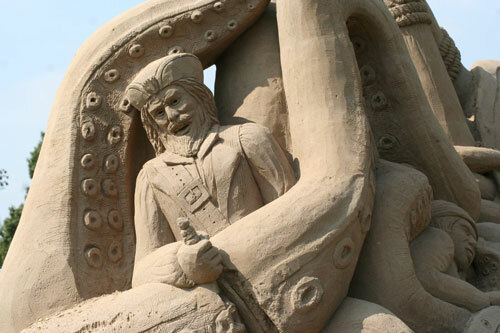 Perhaps, there could have been giants in the past. 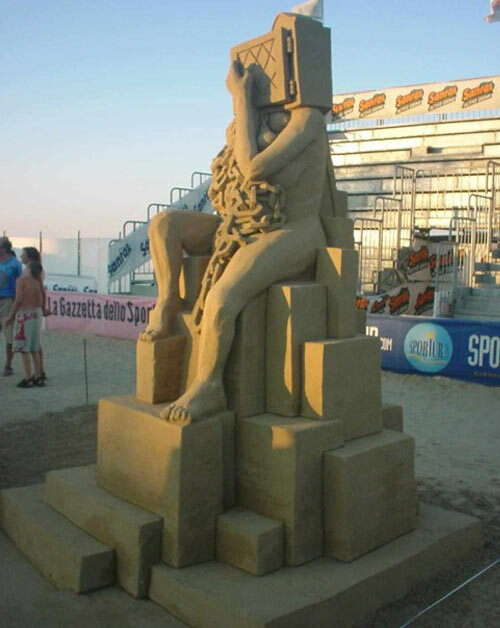 But with the love for art plus creative imagination, giants may still look real. The ability to make a piece look so real is what makes it more and more appealing. It may just look so easy to finish but it actually takes time and a whole lot of patience for an artist to finally see its obra. 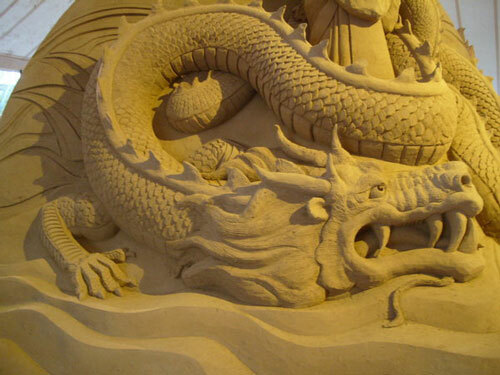 There are certain subjects for a sand sculpture we never thought we could see well-detailed but here it goes! 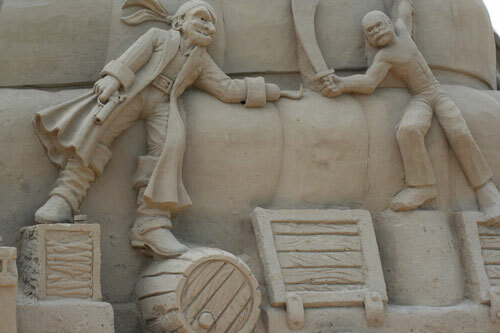 Pirates are cool subjects. Even when the thought of them seems to bring danger. 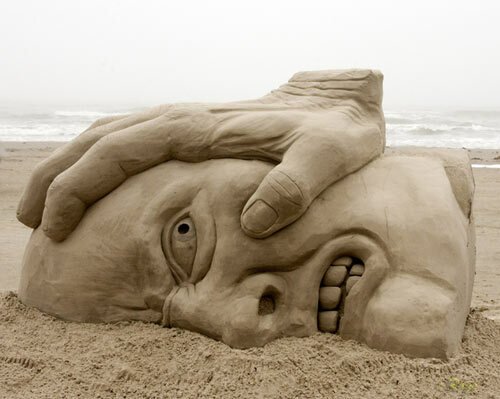 It’s really cool when you are taken aback by an artwork. 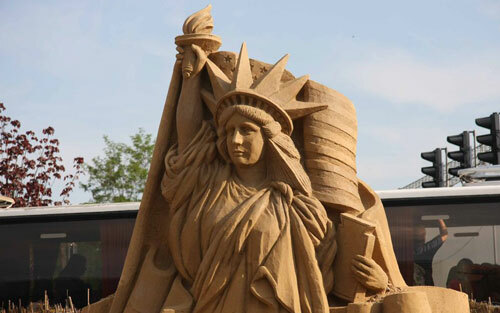 Who could have thought that we’ll see the Statue of Liberty in Sand? Well… it’s just so amazing! 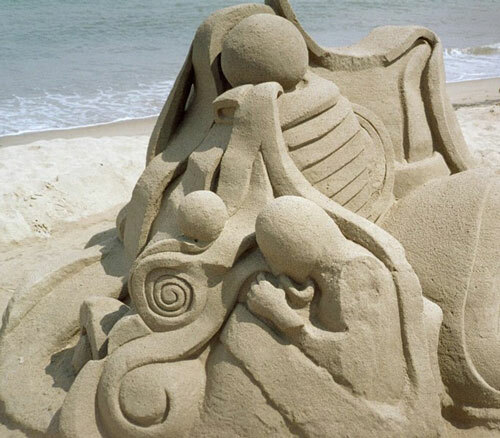 Even when sand may be thrashed any moment, the memory of your artwork lives on especially when it has touched the hearts of many. Just make it smooth and clear to convey its meaning then off you go to taking the eyes of many! 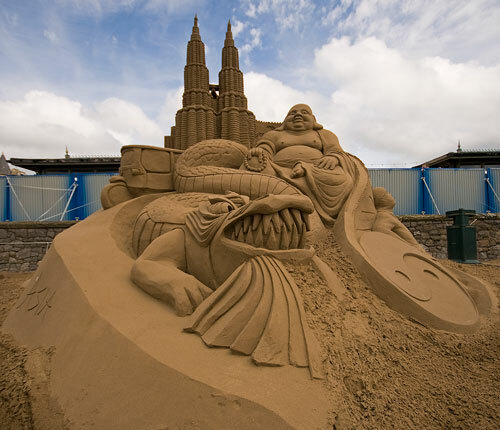 Festivals like this gets to showcase the realm of sand artistry. It’s just fascinating! 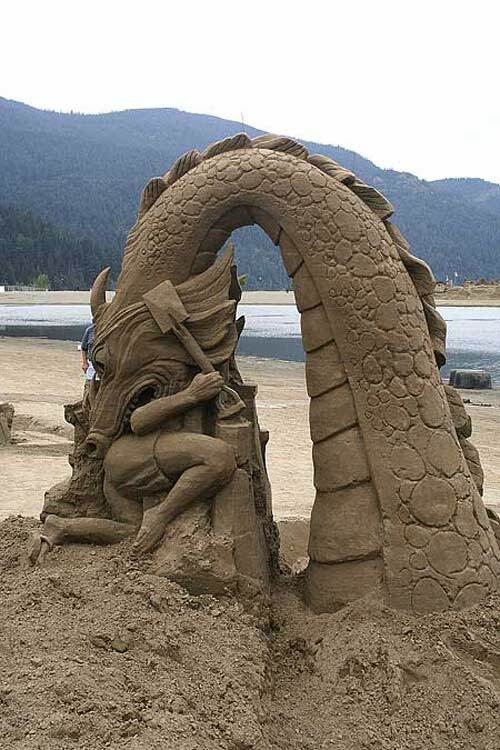 Dragons, when details are expounded, it creates a surreal character you won’t get your mind off right away! 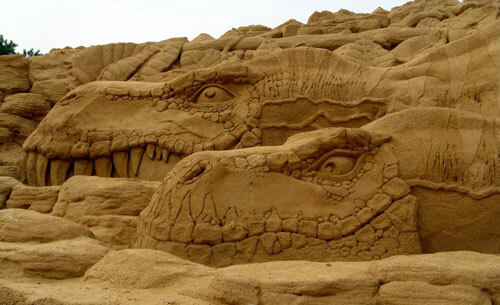 Well, if they are just sleeping ones, it’s all right to see them in sand. Every artist have their own way of giving life to their piece. 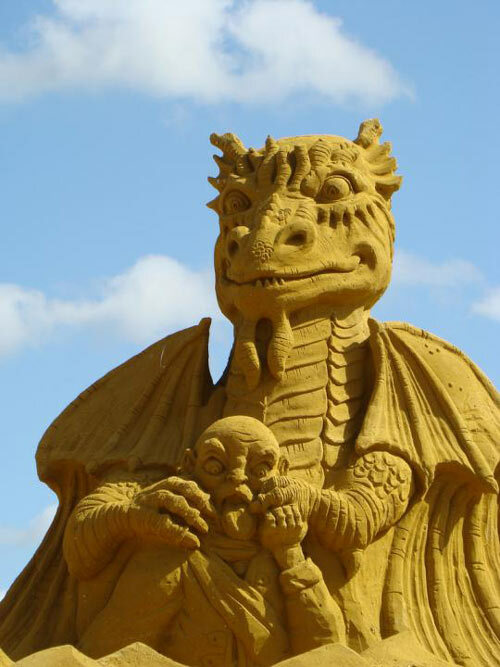 With awe and amazement, a fantastic sand sculpture is to behold! Let faces deepen the thought of an artwork. 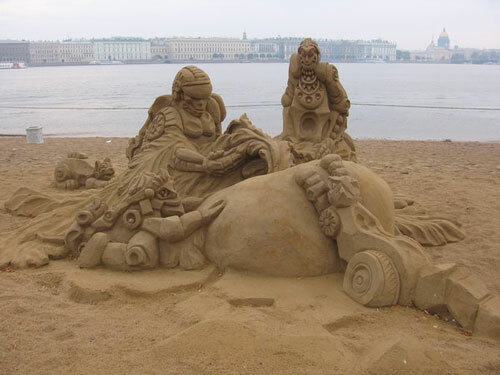 There are creations you may look into and find the deepest and touching meaning. Even when it’s not yet finished, you would already see its beauty! Lovely isn’t it? 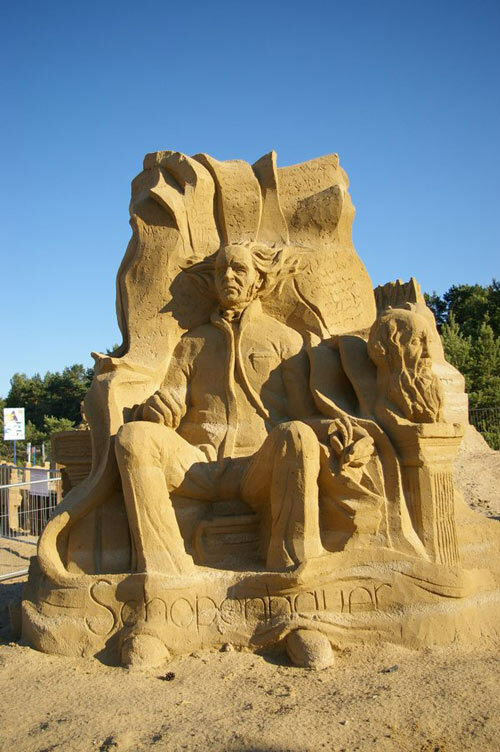 With Sand Sculptures, you’ll get to see the places that artists have been inspired with. 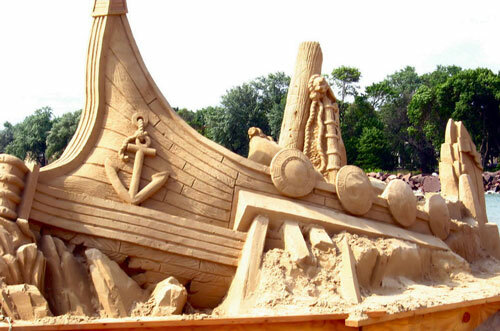 Let it become different and still connect an artwork with a cool watersport activity. Wow! 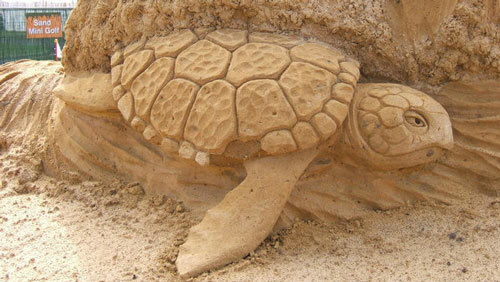 Turtles lay their eggs in sand so it’s just so cute to see them in sand artworks too! 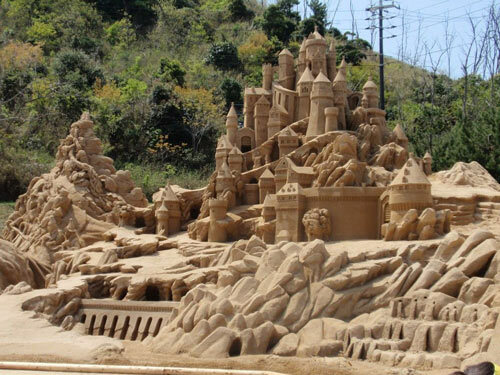 It may look simple and majestic at the same time. It’s the magic of an artist on how they would make a subject look as attractive as possible. 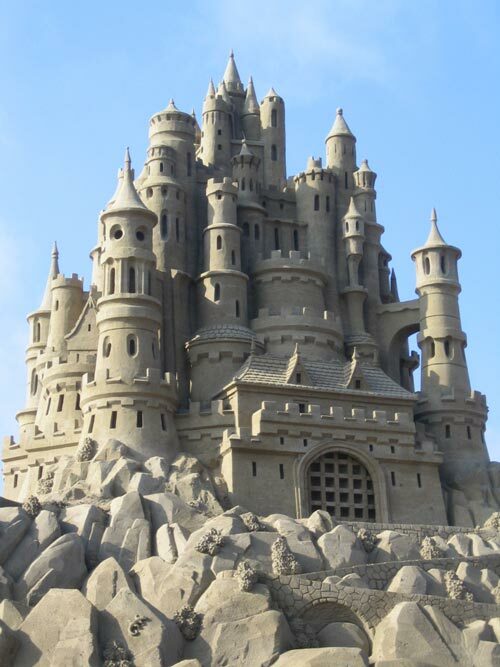 Simple sand castles may be made but with all the other details, it makes the whole thing look so real. 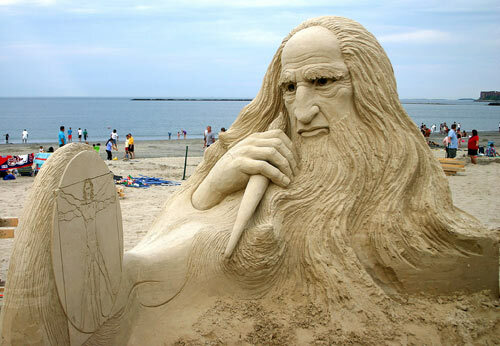 With the perfect facial expression detailed, who can even think this is made from sand if not made at the beach? 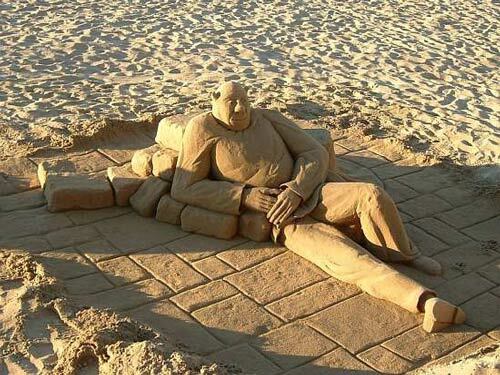 And an artwork may simply look as though it were some tourist trying to enjoy the sun at the beach. Oh well, this is how you’ll actually look like when your face gets smashed in the sun with your left cheek in! Even when justice speaks, art defines it more. 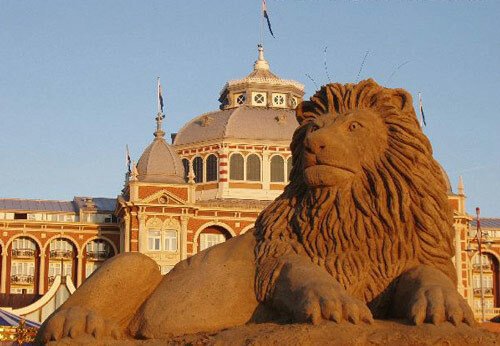 The Lion being the King of the Jungle defines life itself. It may be fierce but it has its subtleness. That’s art too! 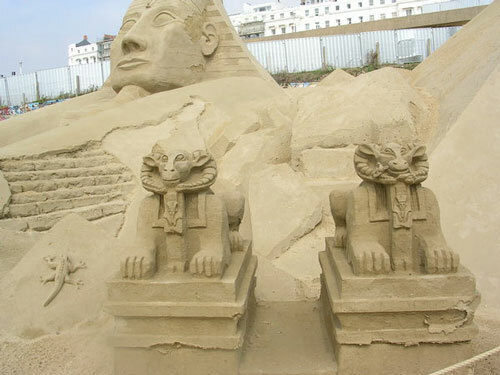 An award winning masterpiece for a Sand Sculpture Competition. 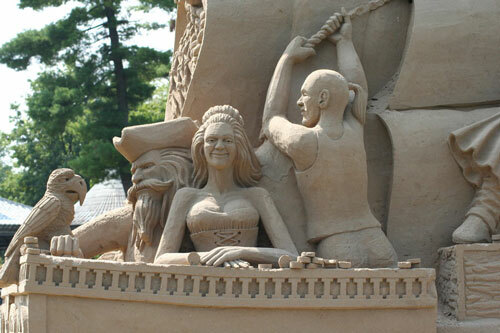 This piece has won 5th Prize in the World Championship Sand Sculpting in Canada, September 2008. 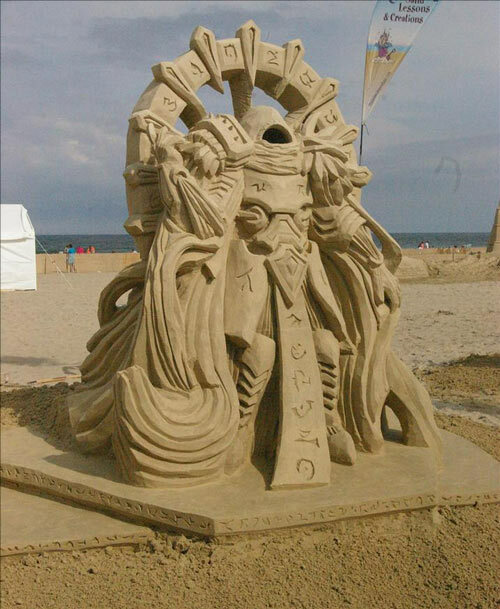 Creatively done as it is. It seems like it’s about to hop on someone or something and finally devour it. 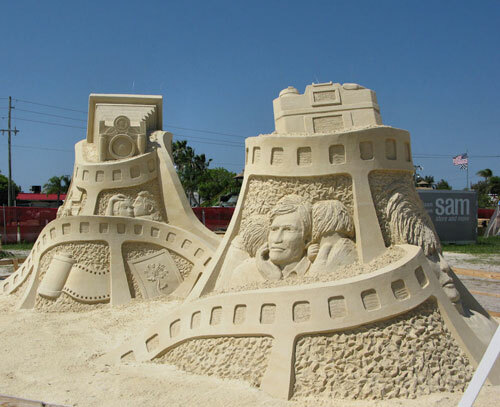 It just seems like a scene in movies when it’s actually a really nice sand sculpture artwork. These cute creatures just so look like they’re enjoying their swim. We oftentimes hope we have one like this for real. It inspires a lot of artists! 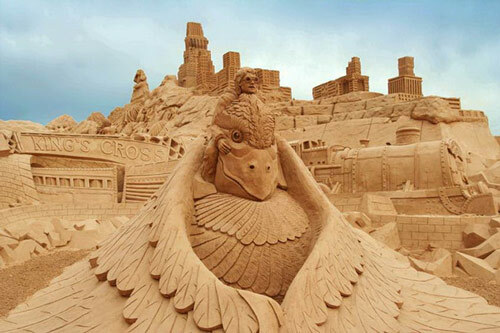 Get ready to fly and be taken by this huge bird to the world of Sand Scupltures! With every part of it defined carefullly and beautifully, as though there were real royalties inside, everything becomes so fascinating! Aren’t they spectacular enough for an artwork? 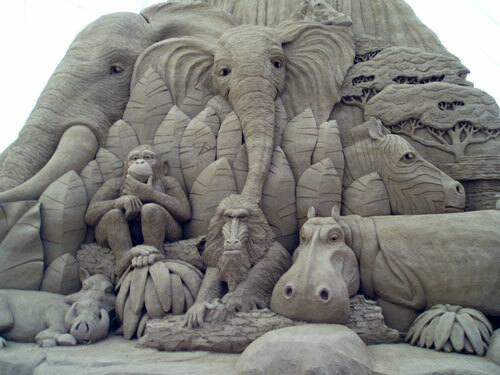 Indeed it takes not a single day to make such an amusing one but Sand Sculptures are just one of the many beautiful proofs how artistically surrounded our world is. 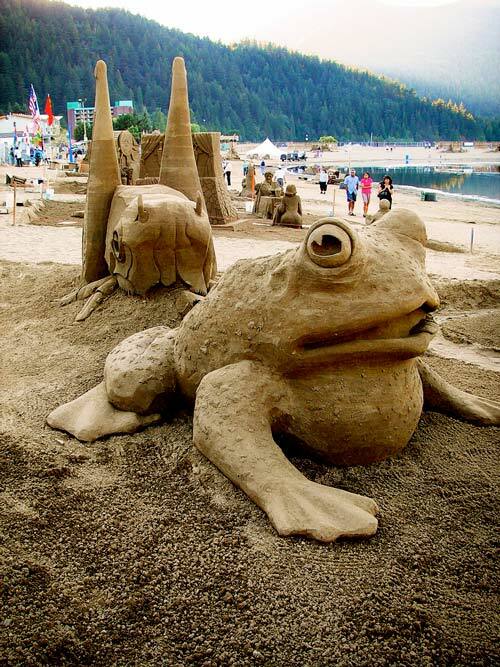 Simple elements of nature becomes a masterpiece indeed! Cool! 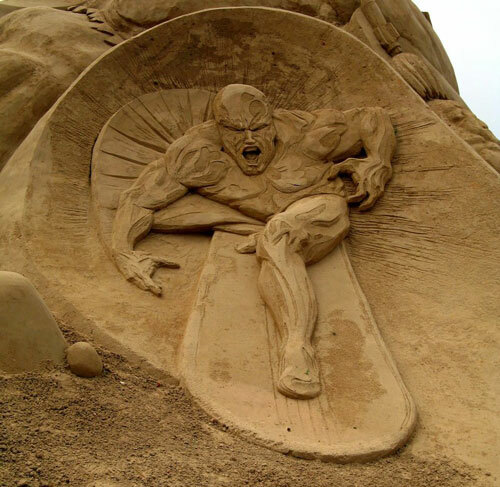 so impressive sculpture works! 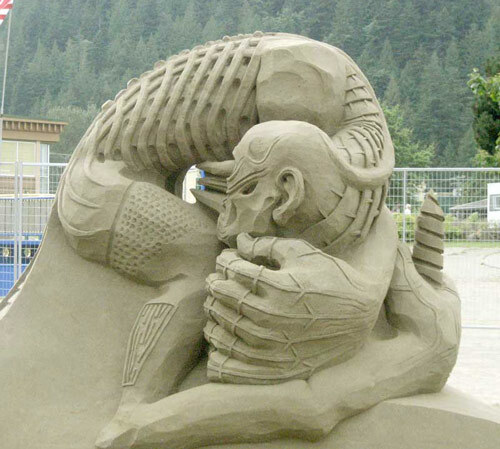 Fantastic work, still wondering how they start to make it, its so complicated but still awesome! it’s an WOW moment to me. 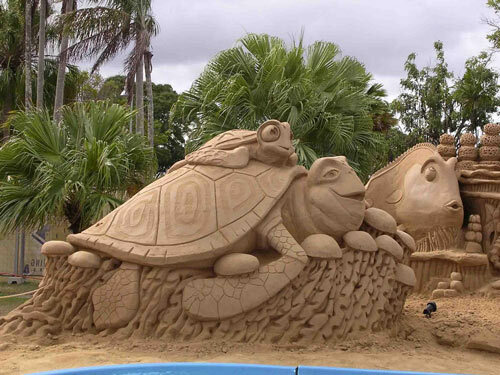 Really amazing sculptures, thanks for sharing.. 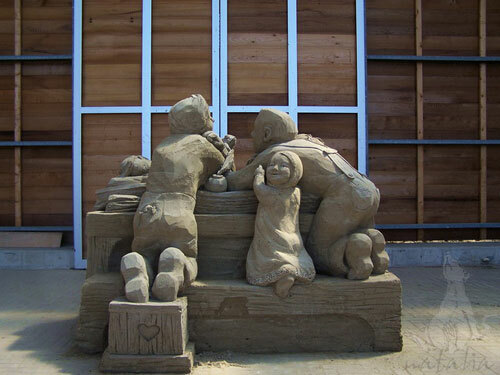 These sculptures are great! Nice collection! I couldn’t ever imagine that art can get far beyond simple painting, and music, and literature. How beautiful they are. The most astonishing thing is that, you see details, like hair and tree brunches in these sculptures. I really admire them all. Thanks for this great art manifest.